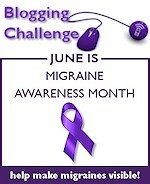 I’m participating in the Migraine Awareness Month Blogging Challenge every day in June. Today’s prompt is: “Blogger’s Pick.” Choose your favorite blog from any of this month’s prompts from someone else’s blog to share with us and tell us why it’s your favorite. 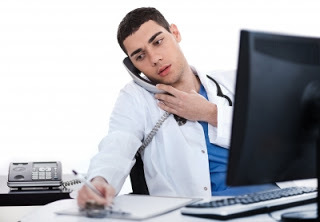 Although there have been hundreds of awesome, emotionally touching and heartfelt posts during the Migraine Awareness Month Blogging Challenge, without a doubt I’d have to say my favorite post is Ellen’s on the prompt relating to your wish list for the ideal migraine doctor. It’s not only great information, but it’s funny, too, and incredibly well written. Please read it and share it with your migraine pals if you haven’t already done so. National Migraine Awareness Month is initiated by the National Headache Foundation. The Blogger’s Challenge is initiated by FightingHeadacheDisorders.com.